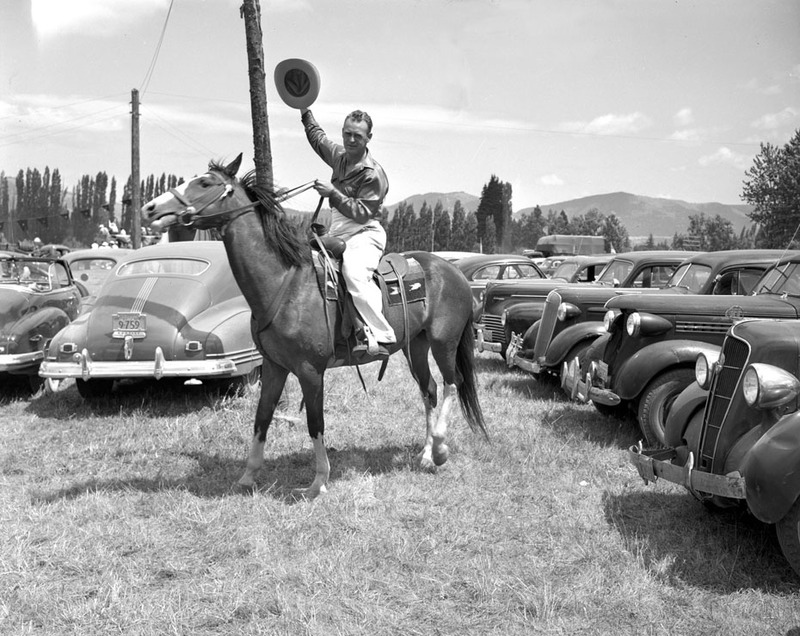 This great Joe Young image is probably from the 1947 Hood River Rodeo. Jim gets to ID the cars in the parking lot. Definitely at the Hood River Saddle Club arena. They used to put on some wonderful rodeos there for such a small town. I was no doubt at this rodeo. So.....who gets to ID the gentleman on the horse? Rodeos were a big summer event for just about every farming community with a dance on Saturday night. Back in the days when monsters were made of metal...! I grew up in this area (Methodist Rd/Belmont then at Country Club Rd/Post Canyon). We were all over these roads on our bikes and used to go to the overgrown go-cart track a bit farther down Country Club and to the west down a gravel driveway. Does anybody know its history?